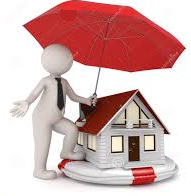 We have a good selection of companies we write homeowners insurance through. Our customers we have written policies for are all over Texas and located in the cities, small towns, suburbs, ranches, high rises, etc… We have new homes, older homes, rental homes, homes being built, etc… Depending on your needs we can select from several of our companies to get you the best coverage and price available. You can call us for a no hassle and no pressure quote, or fill out our Homeowners Quote Form and let us quote you through the many companies we have to check for the best coverage and rates available for you. Note: For renters insurance click Renters Quote Form.